> Can injuries to the skin be painless? When the body receives an injury to the skin, a signal is sent to the brain, which generates a sensation of pain. 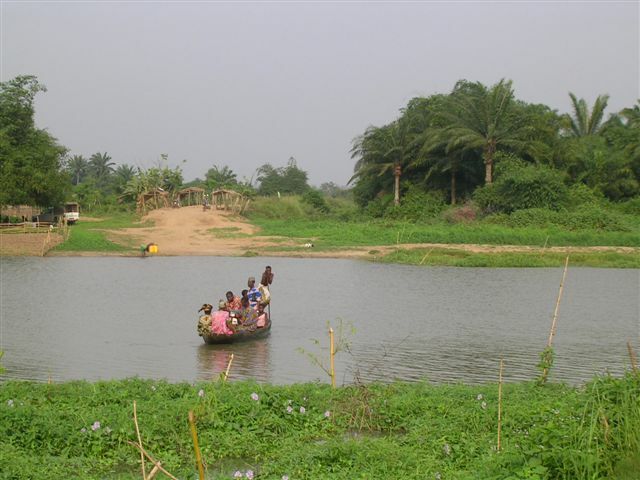 Teams led by Priscille Brodin in Lille and Laurent Marsollier in Angers have studied lesions in patients with Buruli ulcer, a tropical disease. In an article published in the journal Cell, they show that, despite the extent and severity of these wounds, they are less painful than others that seem relatively minor (e.g. scratches, low-degree burns). They discovered an analgesic mechanism that limits the transmission of pain signals to the brain. An understanding of this mechanism may be useful in developing new drugs for pain relief. Buruli ulcer (caused by infection with Mycobacterium ulcerans) is the third most prevalent mycobacterial disease, after tuberculosis and leprosy. This tropical disease, which mainly affects children, causes ulcerative cutaneous lesions. The destruction of skin tissue is caused by mycolactone, a toxin secreted by the bacterium. Despite their size, the lesions are not especially painful in the early stages of the disease, explaining why patients are slow to seek medical help. The researchers explored the mechanism that causes these lesions to be painless. Until then, it had been thought that the lack of pain in the early stages of the disease was related to the destruction of nervous tissue. In the present study, the researchers show using infected mice that this hypothesis is not supported by nerve degeneration, which occurs only in the advanced stages of the disease. They also injected the toxin into mice to observe its effects on the animals’ sensitivity. 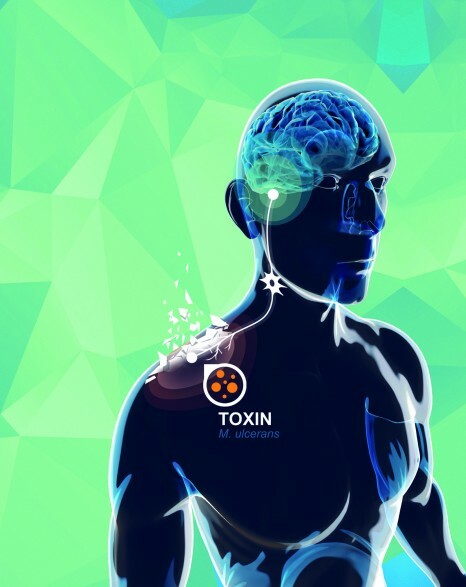 The researchers show that the presence of the toxin can inhibit pain on its own, with no effect on the nerves. “The bacterium, or more specifically its toxin, mycolactone, can interact with neurons and prevent the transmission of nerve signals, explaining the painless nature of the lesions,” explains Laurent Marsollier, a research fellow at Inserm. A state-of-the-art imaging technique was used to demonstrate that mycolactone interacts with a neuronal receptor (angiotensin receptor 2), causing leakage of potassium. The potassium efflux causes neuronal hyperpolarisation, limiting the transmission of nerve impulses—which carry the pain signal—at local level. The researchers then blocked the expression of this neuronal receptor in mice infected with the bacterium. 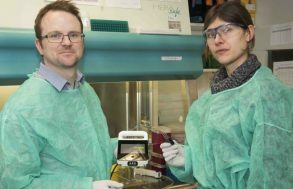 Blocking the receptor prevented it from interacting with the mycolactone toxin, which re-established the animals’ sensitivity to pain, thus providing in vivo confirmation of the mechanism identified. The Mycobacterium ulcerans bacterium employs a novel infection strategy by using the toxin it secretes to prevent the pain associated with the lesions it causes. “The discovery of this mechanism, which limits pain in the cutaneous lesions during the early stages of the disease, opens up new possibilities in the search for new drugs to prevent pain,” says Priscille Brodin, Inserm Research Director and co-author of this study. Indeed, the molecule that can block the action of the receptor does not belong to the class of analgesics in current use, such as paracetamol or opiates such as morphine. Generally speaking, clinicians are hoping for new drugs to fight pain, since the existing drugs all have limitations of greater or lesser importance in the context of personalised medicine. 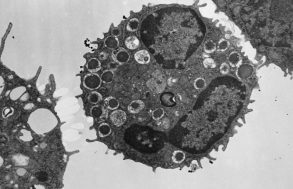 Finally, according to the researchers, the receptor identified may be a target of choice, since another study showed that blocking it led to the reduction of pain in patients with herpes infections. Rice, A.S., Dworkin, R.H., McCarthy, T.D., Anand, P., Bountra, C., McCloud, P.I., Hill, J., Cutter, G., Kitson, G., Desem, N., et al. (2014). EMA401, an orally administered highly selective angiotensin II type 2 receptor antagonist, as a novel treatment for postherpetic neuralgia: a randomised, double-blind, placebo-controlled phase 2 clinical trial. Lancet.